Kenwood food mixers – the ultimate kitchen companion. Kenwood food processors – create goodness from scratch. Fuel your day with the Kenwood kMix breakfast collection. Kenwood share your passion for creating delicious dishes, be it a new signature dessert, a quick evening snack or a large family meal. Using extensive experience and knowledge, their wide range of quality, British engineered products will help make cooking and baking even more of a pleasure. 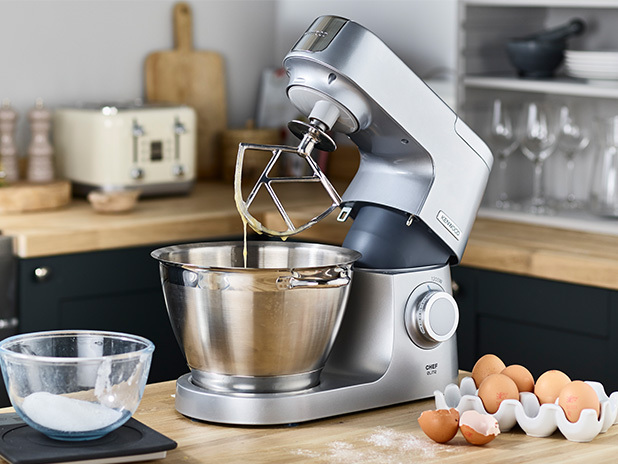 Kenwood’s innovative food mixers, food processors and hand mixers are designed to give years of joy in the kitchen. Choose to follow recipes or develop your own creations, with their many features, they’ll help you achieve wonderful results. 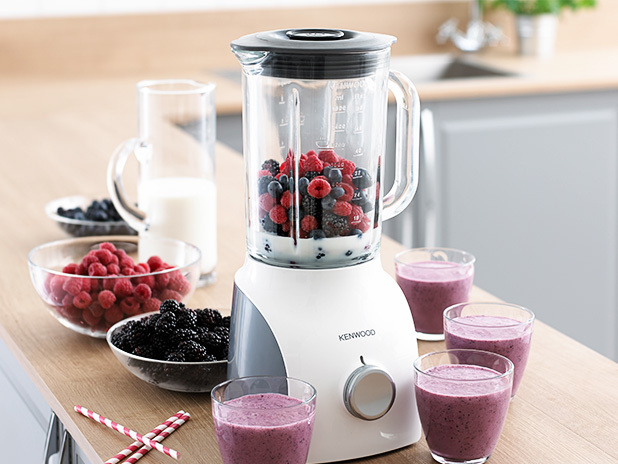 It’s even easier to be healthy with a Kenwood blender or smoothie maker in the kitchen.Whether you’re relaxing at the weekend or rushing off to work, you can quickly create tasty dishes and drinks that are packed with goodness. Kenwood’s breakfast products are expertly designed to help you perfectly prepare the most important meal of the day. 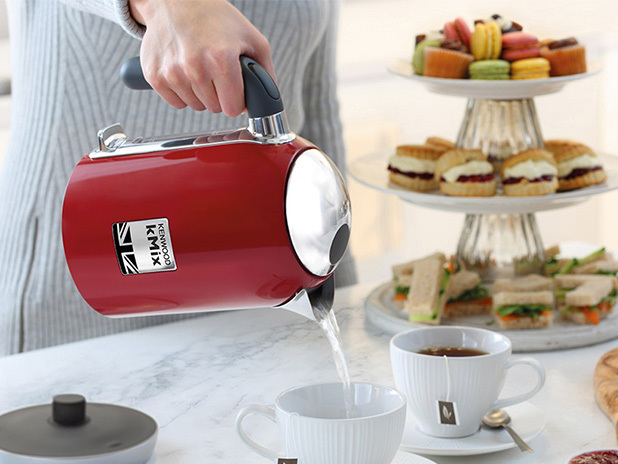 Available in a choice of colours, there’s a kettle and a toaster to exactly suit your kitchen décor. Kenwood is the creative cook’s choice the world over. If you love spending time in your kitchen trying out new recipes or preparing one of your signature dishes, then you’ll appreciate having our cleverly designed, brilliantly engineered kitchen appliances by your side. 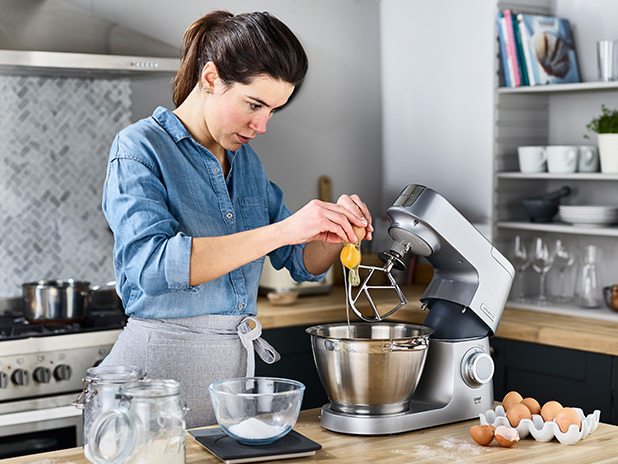 Every product that carries the Kenwood name guarantees the high levels of performance and control you expect, the durability and quality you demand, and a host of ingenious, intuitive features that make preparing and cooking food an absolute joy. Kenwood is the creation of innovative engineer Kenneth Wood, a pioneer of high quality kitchen appliances. His founding philosophy and principles still guide the company today. Ever since Kenwood’s founding in 1947, they have been focused on innovation. Today our kitchen appliances feature advanced electronics, modern materials and exciting new functions. Quality and durability are the hallmarks of every Kenwood product. It’s this, combined with British design, which makes Kenwood so special.